Between longer life expectancies and declining birth rates, Europe's elder population is growing into a sizable minority with considerable impact on nations, health systems, and economies-in other words, global implications as well as local and regional ones. Those investing in the health of older adults need a double perspective: the social and clinical complexity of aging and the larger forces shaping these experiences. The potential for technology to improve elders' quality of life.Dementia and quality of life issues.Changes in functional ability with aging and over time.Family networks and supports in older age.Factors influencing inequalities in quality of life.Late-life learning in the E.U. 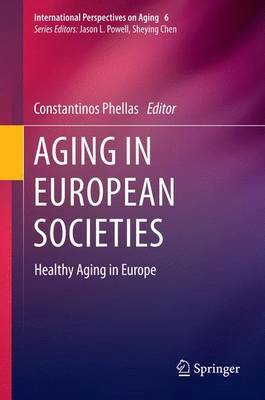 Gerontologists, sociologists, health and cross-cultural psychologists, and public health policymakers will welcome Aging in European Societies as a springboard toward continued discussion, new directions for research, and improvements in policy and practice.